I think we can all agree that when we eat something that we want it to taste good! Food Should Taste Good! Right?! As a busy mom with two young children I'm always in need of tasty and wholesome snacks! 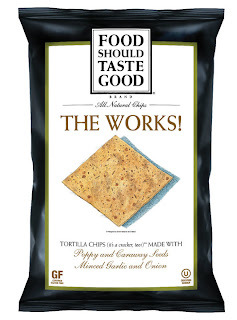 Food Should Taste Good has several mouth-watering flavors of natural tortilla chips! I had the opportunity of sampling 5 different flavors with my family: Olive, White Cheddar, Cheddar, Chocolate and The Works! To be totally honest, I LOVE these! They are like a cracker and a chip fused into one crunchy snack of goodness. The first flavor I tried was The Works and I'm almost ashamed to say that the kids and I ate the entire bag in one sitting. We opened the bag and the next thing I knew the bag was empty. The flavor was bold and had the perfect combination of flavors. This may just be the best chip I've ever eaten! We had the same experience with the other flavors as well. They were all delicious and full of flavor. The flavors were bold but not over-powering. Our kids loved them just as much as my husband and I did. 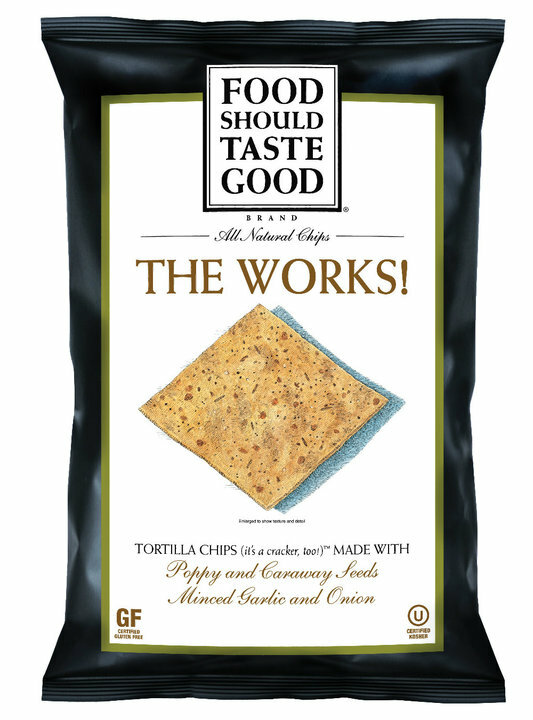 There are 11 flavors in their 5.5 oz bag line: Multigrain, Sweet Potato, Olive, Jalapeño, The Works!, Chocolate, Lime, Blue Corn, Cheddar, Toasted Sesame, and White Cheddar. It's a difficult decision but I think The Works! is my favorite. I love the fact that they are healthier than regular chips and my entire family loves them! That's a win-win for me as a wife and a mother! 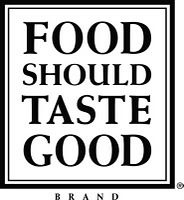 Stop by the Food Should Taste Good website for a $1 off coupon. You can also find a store that sells them near you by using the store locator! 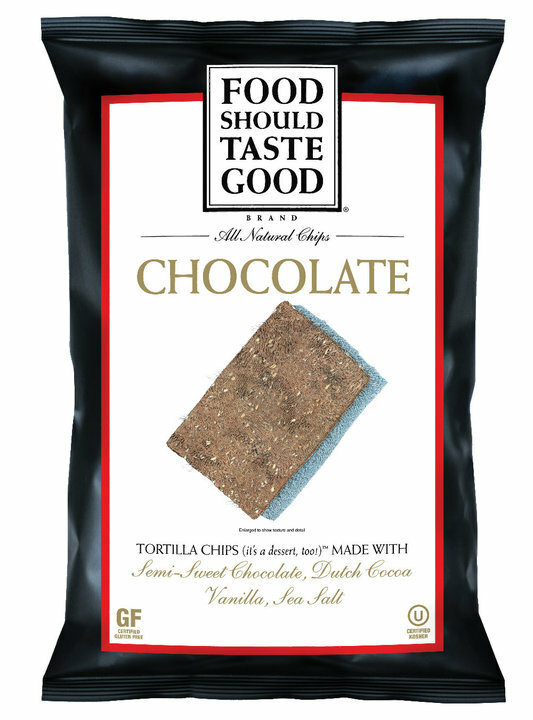 Food Should Taste Good is an all natural snack brand created by Pete Lescoe in 2006. With simple, real ingredients (no MSG, trans fat, or anything artificial), these chips have been recognized as a 2009 “Best Food Award” winner by Women’s Health, Fitness, SELF, and Men’s Health. Beyond their award-winning taste, these snacks are certified Gluten Free, Vegan and Kosher, are low in sodium and a good source of fiber. Visit Food Should Taste Good and tell me which flavor you would most like to try and WHY. A special thanks to Food Should Taste Good for this great review and giveaway opportunity! I want to try the olive ones! I love olives!! I'd like to try the works because I like works bagels. I like/follow Food Should Taste Good on Facebook as Ricky Todd. I would most like the try The Works. My local store carries a few of the varieties but not this one, so it would be one I haven't had yet and that's why I would choose that one. #1 Follow on GFC as Michelle S.
#2 Follow on GFC as Michelle S.
I would like to try Sweet Poato because I love Sweet potatoes. Mandatory - I want to try the lime!